Technical maintenance of the website is the comprehensive support of an online resource in order to ensure its successful functioning. There are two options of maintenance. It can be permanent or periodic. Periodic maintenance has huge disadvantage, because there is no guarantee that specialists in the technical support of the selected company will not be busy at the moment. And, as they initially may not be familiar with your project, there is a risk, that it will cause failure or loss of data to them and also cause more expenses. Constant providing of the maintenance implies rapid improvement of the website, immediate removal of mistakes and quick editing by new standards. In order to obtain the maximum profit from your business and for attracting and stimulation users to visit your website, its permanent updates, as well as the development of new functions, are required. Creation of additional features and services, improving the structure and navigation, writing new software modules are the tasks for professionals during technical maintenance. In addition, the content always must be updated. The monitoring of availability and performance of the website is needed to keep it operational. What does the technical maintenance of the website include? 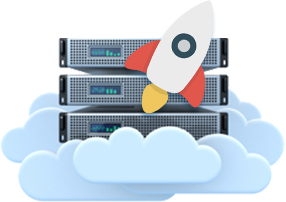 Hosting is a service that allows you to place your website on the special server and ensures website accessibility online. In order to make your website available for visitors, it is needed to choose a good hosting service. We help you to make a selection of a hosting provider, which ensure quality services. If necessary, we can work with servers of our customer.